Aurora Brambles East is a special needs day school in Lancashire providing specialist education for boys with Social, Emotional and Mental Health difficulties (SEMH). Aurora Brambles East is an independent day school in Lancashire providing specialist education for boys with Social, Emotional and Mental Health difficulties (SEMH). High levels of support: all students are provided with enhanced support throughout the school day and provision can be made for those requiring higher levels of support, either full time or periodically. This will enable them to access the curriculum and participate in school activities. Preparing students effectively for life beyond school, by developing their abilities and supporting them to achieve their own unique level of independence as they approach adulthood. Brambles East School is located in Darwen, a small town in Lancashire. The school building is a large, converted Victorian house, set in a beautiful location. We have a range of specialist classrooms of varying sizes which cater for up to 63 students. We have an ICT suite, a library with breakout area, a fully equipped design technology workshop and a large dining room where students and staff sit together for breakfast and lunch. Every morning we hold an assembly which is centered around a specific theme, and takes place in our large communal hall. In the school grounds, we have a five-a-side 3G football pitch which students make use of during their break times. For other sporting activities we make use of the local leisure facilities. The school day runs from 9.00a.m. to 2.50p.m. Monday to Thursday; with a 2.30p.m. finish each Friday. The timetable is designed to ensure maximum engagement in the core subjects of English, Maths, Computing and Science in addition to students accessing the Foundation subjects. There are opportunities for students in Years 10 and 11 to have time in the school week to “specialise” and choose to put extra time and energy into subjects they favour as well as meeting the statutory lesson allocation. For those who require additional support with reading and writing, we are able to adjust their timetable to support them in the areas where it is required the most. Students have access to a varied Outdoor and Social Education programme, which includes kayaking, rock climbing, skiing, fell walking, team building activities and a range of excellent confidence building and exciting activities. We find these activities have a positive impact on student’s confidence, self-esteem and social skills. For younger students, we are able to offer explicit social skills sessions where this is needed. We ensure that all students can access accredited courses suitable for their individual needs and offer GCSEs in Maths, English language, English Literature, Science, Computer Science, Modern Foreign Language, Humanities and Art. Additional courses include Functional Skills and Entry Level Functional Skills in Maths, English (Stepping up to English Bronze, Silver and Gold Awards), Science, ICT, Modern Foreign Language, Humanities and Art. We offer Unit awards in PHSCE, Construction, and Art. We are aware that students respond well when their preferred learning styles are taken into account. Our experienced teachers are aware of the need to adapt teaching and ensure that programmes of learning are personalised. We use a range of techniques to engage students in learning, including learning styles, such as visual, auditory or kinaesthetic to ensure that all needs are met and to ensure the lessons have the appropriate levels of pace and keep the students engaged. Regardless of the level of a student’s starting point, including levels of attainment when he arrives at Aurora Brambles East School, we support them to reach their full potential by maximising opportunities to gain a portfolio of appropriate qualifications. This is essential for all students at our school. 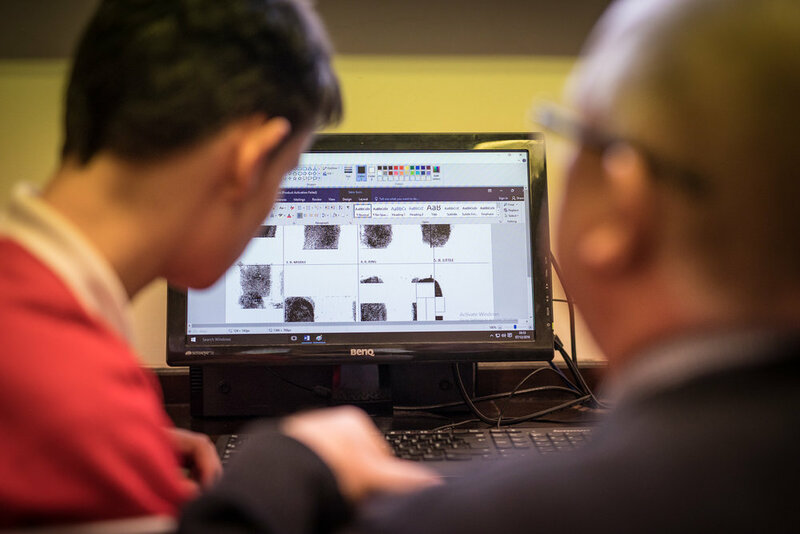 External assessors have verified that since starting at the school, students have made at least “good” progress in core subjects of English, Maths, Science and Computing. Since opening in 2012, we have successfully supported the majority of our Year 11 students back to mainstream schools. Of our end of Year 11 student leavers, all but one of them have either gone on to post 16 employment or education. In the last academic year, no students were classified as ‘not in education, employment or training’ (NEET). The Aurora Group, 33 Holborn, London EC1N 2HT.